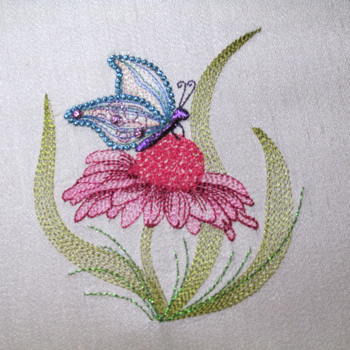 This delightful butterfly shimmers in Mylar as he is perched upon a Coneflower. The special effects of the Mylar creates a sun kissed looked as the layer of Mylar peeks through the sheer contouring of this design. 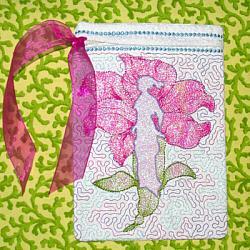 Full photo instructions are included showing how to use Mylar to achieve this beautiful look. 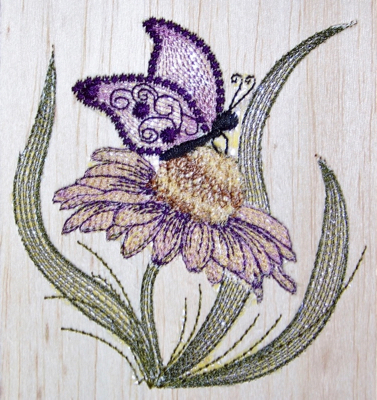 For extra special effects use a variegated thread for the outline accent on the butterfly's wings as shown in the sample above. 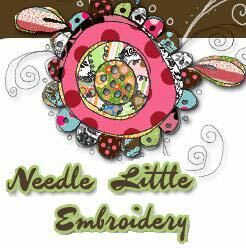 Use the colors as shown or change to complement your project or suit your fancy! 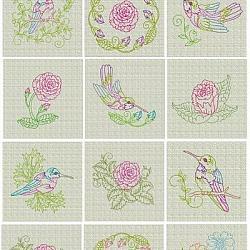 You may also stitch this design as a direct stitch design by eliminating the layer of Mylar. This application is equally exquisit! 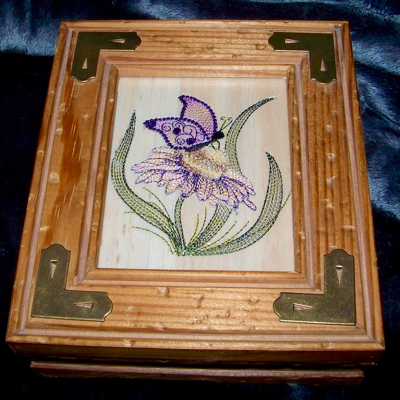 Below are customer photos from Cyndy who used Mylar Coneflower Butterfly to adorn lovely Balsa wood keepsake boxes. Yes ! 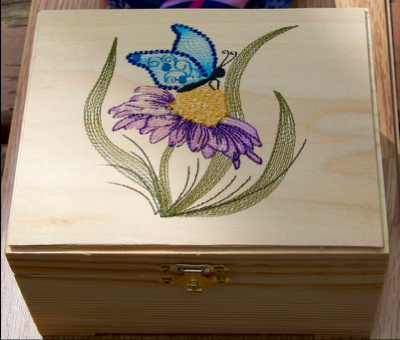 You can actually embroider on Balsa wood! 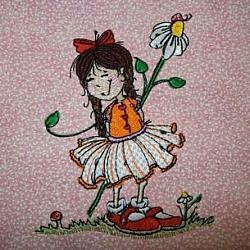 Thank you Cyndy for your lovely photos!